Injection-molded, engineering-grade, 5VA flame retardant, high-impact, thermoplastic housing with LED exit and LED emergency light. Unique new design EXIT sign with LED emergency lights in low profile housing. - Energy efficient LED, Long lasting, efficient ultra-bright white LEDs. - Adjustable LED lamp heads provides optimal center-to-center spacing. Optional high-lumen heads are available for increased center-to-center spacing. 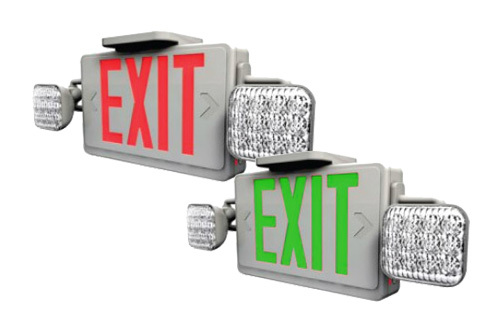 - Long-lasting, energy efficient red or green LED exit sign. - Easily removable chevron directional indicators. Unique design allows double face conversion in the field. Quick-snap face plate closure. - Single or double face configuration. Available in white or black housing. - Universal wall mounting K/O pattern. - EZ-snap thermoplastic mounting canopy included (provides top or back mount convenience). - Charge rate and power “ON” LED indicator light and push-to-test switch for mandated code compliance testing. - Ultra bright LED lamps. - Maintenance-free and rechargeable Ni-Cad battery comes standard. - Internal solid-state transfer switch automatically connects the internal battery to LEDs for minimum 90minute emergency illumination. - RC: Remote capable, connect two additional LED heads; not included. - LED lamps are 25 years limited warranty. 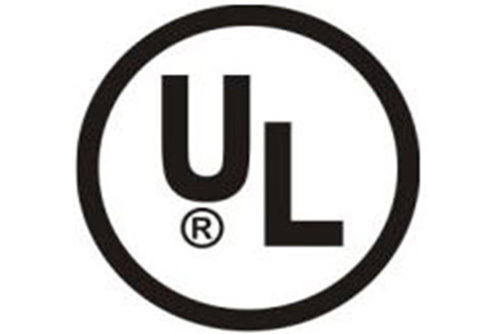 - UL listed for damp locations (0°-40°C/32°F-104°F standard). - Meets UL924, National Electrical Code, NFPA 70 and the Life Safety Code, NFPA 101.